Thank you to all who attended last Monday September 25th reception. 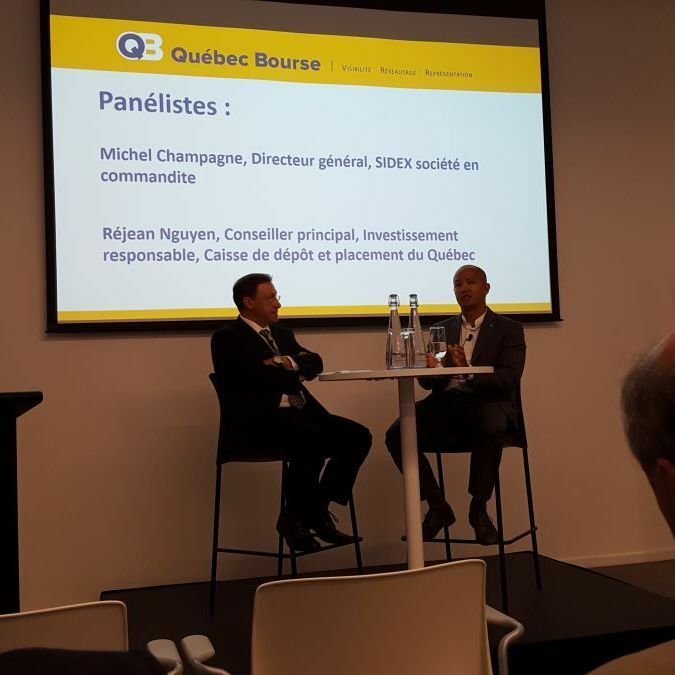 During our panel, Mchel Champagne and Réjean Nguyen provided insights on their respective institution’s approach towards the review of the governance of companies in their portfolio. They shared their expectations and reaffirmed the importance of aiming for best practices (in terms of board composition, compensation and social responsabilities). Acknowledging that companies are all different, they confirmed their willingness to work in a collaborative spirit with the companies. Thank you McCarthy Tétrault, the sponsor of the event and to Caisse de dépôt et placement du Québec for its hospitality.